GOLD FEATHERS. ADVENTURES, INSPIRATION, AND OTHER LOVELY THINGS. : rainbows. 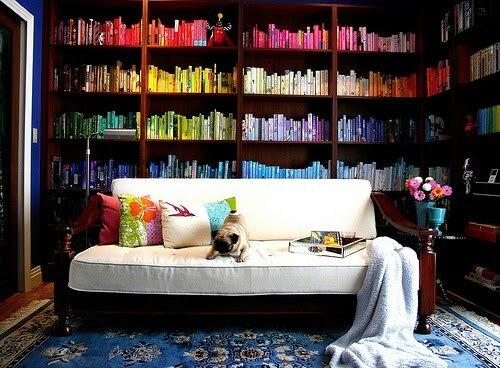 Organized by color looks so cool! But I get what you mean about finding things. I bet you'd get used to where things were. Also, I love your expandable bookshelf! Where did you get that? 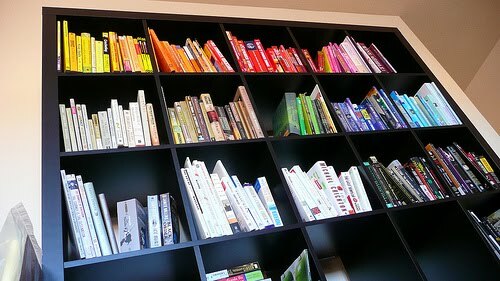 my book shelf is organized by color. i LOVE the way it looks. you might have to stare at your books for a minute to find the one you want, but it's like staring at a nice piece of art, so i don't mind. 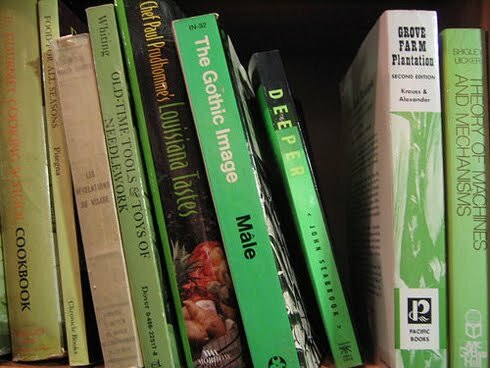 What if you typed up a pretty guide and posted it someplace on the side of the shelf? Just list the book and what color it is and you can go right to it... if you add books you can just add it on the typed version and print a new copy. Eh, it could work...? Oh how I need a new bookshelf. One of these days, my 2 year old is going to give it it's last shove. I just know it. 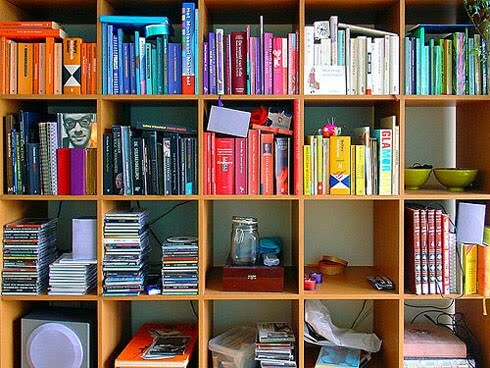 Love the color organizing. Go to jordanferney.com. 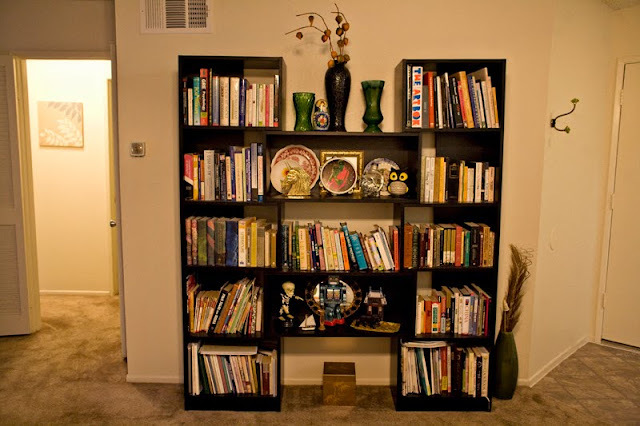 She did a post a while ago about styling a bookshelf. Good ideas.